ASUSTOR Inc provides users with a comprehensive array of backup features through its NAS solutions. 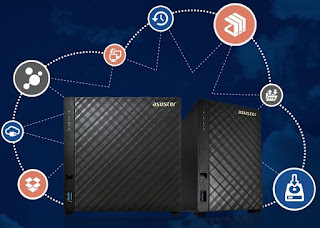 Data can be spread out across various devices, so ASUSTOR NAS products allow everyone to easily and flexibly centralise the backups of all their data. ASUSTOR NAS products also feature Rsync, providing easy backups, two-way data transfers, incremental backups, encrypted backups and also backup scheduling. ASUSTOR NAS devices all come with various protections for your data, such as RAID. ADM's various protection and backup features allow everyone to backup data from a NAS to other devices or a public cloud service easily. ASUSTOR NAS devices also support two way sync options, such as backing up data to and from a Windows PC or server and specified designated devices. ASUSTOR Backup Plan supports both scheduled backups and synchronization. If original data is damaged, destroyed or lost, making ASUSTOR Backup Plan the correct way to conveniently restore data. 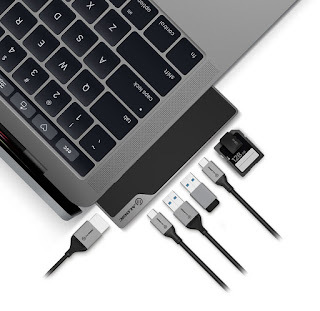 ALOGIC, a manufacturer of IT connectivity & mobility peripherals along with vast array of education solutions recently announced its entry in India with the launch of a wide range of its products. 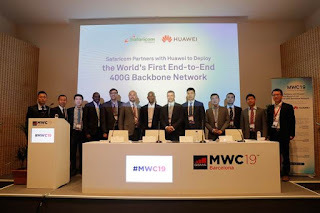 The company rolled out its complete connectivity and productivity solutions for home users, businesses and customers connected on-the-go in India. The company is currently present in the USA, Germany, U.K, Australia, New Zealand, Singapore and Hong Kong respectively. Inspired by the evolving computing and mobility scenario in India and the significant technological expertise of the company with over 4500 products, it will offer products under four different categories. Recent Asian money laundering scandals continue to shake up the financial world, and the ripple effect is still keenly felt across the region. Silicon Valley analytics firm FICO recently conducted a survey with regional banks and found that more than 90 percent of them fear they or their peers, may risk inadvertently facilitating the next money laundering scandal. Most respondents (62%) said that a lack of resources was the biggest reason APAC banks remained exposed; 25 percent cited a lack of expertise while 13 percent indicated it was political constraints imposed by government. Tech Data announced that it has signed an India distribution agreement with Automation Anywhere, the global leader in Robotic Process Automation (RPA). Automation Anywhere pioneered RPA to enable organizations to automate business processes while freeing up existing employees to spend more time on strategic tasks. With this agreement, the two companies will now support mutual partners in delivering solutions that augment human workforce with a digital one to focus on higher business value, while improving customer engagement and innovation. CMR, a technology market research and advisory firm, has released the “CMR 4Ps of Mobile Handset Industry Report 2019” focusing on the key technology trends that will shape the hyper-competitive mobile handset industry ecosystem in India. The report throws insight on the 5G-enabled future and how OPPO is likely to lead the emerging technology themes in smartphone industry. CMR’s research estimates, in the 4Ps Report, points to 5G smartphone shipments in India potentially surpassing 140 million by 2025, on the back of a slow and gradual uptake of 5G. Supporting the local photographic communities in 62 countries across the globe, the World Photography Organisation and Sony announced the winners of the 2019 National Awards. 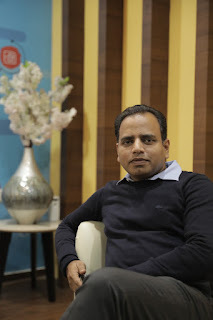 Included in the list is Joydeep Mukherjee as recipient of the 2019 India National Award. 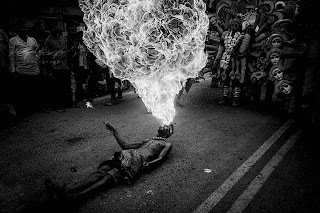 Joydeep Mukherjee’s image was selected as the single best image taken by any photographer of Indian nationality and living in India, entered to the Open competition of the Sony World Photography Awards. 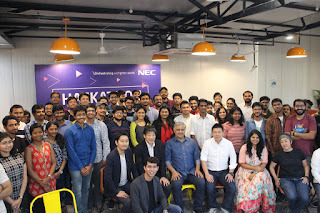 Grab, an app in Southeast Asia with a global R&D centre in Bangalore, has been ranked as a top transportation company and second overall on Fast Company’s “Most Innovative Companies” list for 2019. The list honors the businesses making the most profound impact on both industry and culture around the world. Grab in Bangalore currently employs almost 200 and has plans to double this workforce in the next 12-18 months. In giving Grab the No 2 rank, Fast Company described it as a “transactional super app” that brings together various lifestyle services that connect hundreds of millions of customers to local businesses in South East Asia. 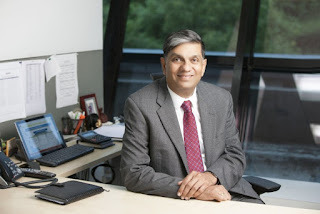 Waaree Energies looks towards the rooftop solar, and aims at adding close to INR 400 crore for the financial year ending 2020, exclusively through the segment. Rooftop solar will be one of the key focus segments for Waaree Energies as it plans to add 100 MW to its overall capacity in the financial year 2019 - 2020. With a significant investment in the segment, it is present through both CAPEX & OPEX models and has attained great credibility in a short span of five years. 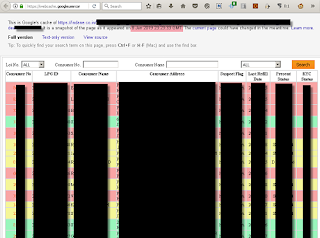 Security Researcher Elliot Alderson has discovered a huge leak of Aadhaar numbers from Indane's website as well as app. The leak has not just put Aadhaar number of 6.7 million people at stake but also their personal details. Data breaches like these do not necessarily translate into a complicated attack by hackers, they may be simple attacks attributed to configuration errors or unpatched systems or coding error. However, when the same issues are discovered by Security Researchers, who put in efforts to find a way into the system and following the processes laid down for responsible disclosure, then these are termed as bugs / vulnerabilities. Organizations lately have been hiring researchers to find vulnerabilities in their networks / systems with the objective to ensure that their systems are protected and decrease the footprint of the attack surface that may otherwise allow easy access to the hackers. 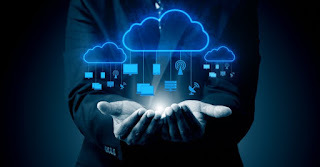 Check Point Software Technologies Ltd has published the third instalment of its 2019 Security Report. It highlights how threat actors are increasingly targeting the weakest, least protected points in an organization’s IT infrastructure – their public cloud and mobile deployments. · 18% of organizations globally had a cloud security incident in the past year: the most common incident types were data leaks / breaches, account hijacks, and malware infections. Inspira Enterprise, a global IT Solution Provider is pleased to announce its partnership with iRAM Technologies, specialized in smart street lighting and parking solutions based on Internet of Things to develop convergent solutions for India's Smart Cities. National Payments Corporation of India (NPCI) has announced the appointments of Ms. Praveena Rai as the Chief Operating Officer (COO) and Mr. Arif Khan as Chief Digital Officer (CDO) with effect from 20th February 2019 and 18th February 2019, respectively. 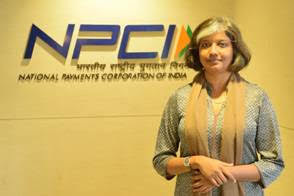 As COO, Ms. Praveena Rai will be in-charge of formulating & deploying the marketing, business development, product management and operations strategy in line with NPCI’s overall strategic objectives of simple, secure and seamless consumer experience to further the cause of rapid digitalisation of India. Ms. Rai will drive product penetration, reach and visibility of NPCI’s offerings through suitable partnerships. With over 20 years of extensive experience, Ms. Rai has built expertise in various facets of payments, cards, retail, transaction, wholesale and commercial banking. At Aero India 2019, Bengaluru, Navratna Defence PSU, Bharat Electronics Limited (BEL) and Hughes India have entered into a Teaming Agreement for design, development, supply, installation, integration and commissioning of Satellite Communication solutions for helicopters under the Ministry of Defence, Government of India. 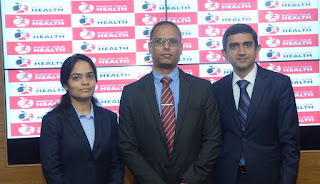 Anandi Ramalingam, Director (Marketing), BEL, and Mr Partho Banerjee, President, Hughes India, signed the MoU in the presence of Mr Nataraj Krishnappa, Director (Other Units), BEL, on February 20, 2019.
state-of-the-art technologies and capabilities in developing these integrated and sophisticated helicopter solutions. 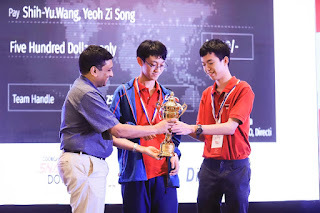 HDFC Bank has partnered with Route Mobile to showcase Rich Communication Services on Google’s RCS Business Messaging platform at Mobile World Congress (MWC) 2019. 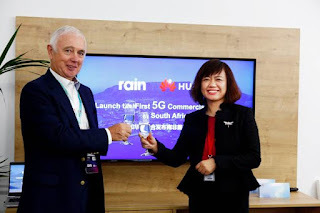 Route Mobile is among the leading cloud-communications platform service provider to enterprises, over-the-top (“OTT”) players and mobile network operators. RCS is an upgrade to SMS on a global scale. Users can now access a range of advanced capabilities from within their native messaging service – capabilities which previously required a separate OTT app to be downloaded. Messaging is no longer limited to sending simple SMS text: it has become a platform. The features of this new platform enable businesses to deliver intuitive and interactive campaigns to their customers while maintaining the reach, reliability and ubiquity of the biggest messaging platform in the world – SMS.